We are proud to announce that Lyn Ashworth, England will be attending the Wedding Event with a Difference on Sunday 23rd September at The Roundhouse in Derby from 10.30am to 3pm. Come and meet our lovely team and view a collection of our beautiful bridal gowns. We will be exhibiting along side some fantastic supplier, offering a huge range of different services from hair and makeup to bridal gowns. 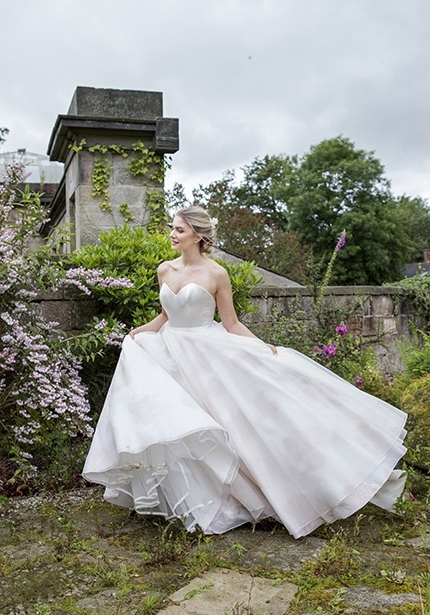 A highlight of the day will be the fabulous Catwalks that will be taking place throughout the day where you will be able to view the Lyn Ashworth gowns. “After attending lots of uninspiring and dull wedding fayres, it was time to revolutionise these! We wanted to provide brides, grooms and their families with creative and exciting ideas, showcase lots of interactivity and above all provide you with an exciting experience! New 2018 Daydreamer collection coming soon!